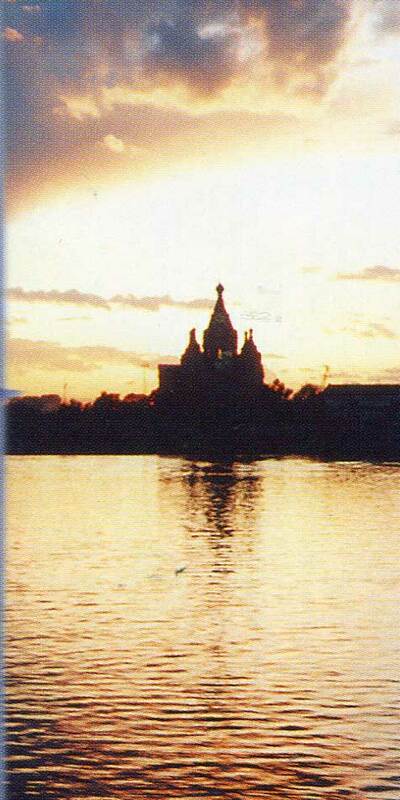 Journeys down Russian rivers are a source of unforgettable impressions and immense pleasure. 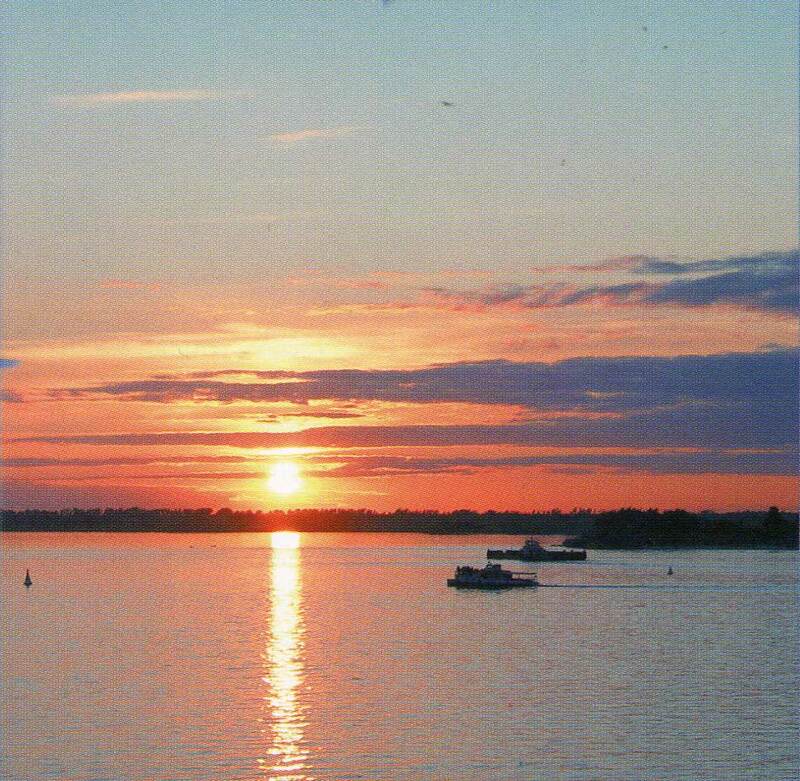 If you take a river cruise you will see many beautiful places, you will learn many interesting facts and will have a chance to enjoy nature. 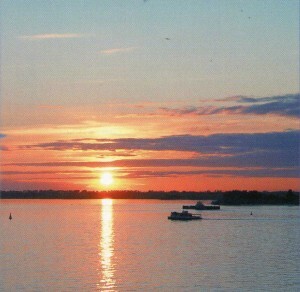 You will enjoy the unforgettable Volga sunsets and dawns and will remember these romantic days till the end of your days. Many foreign and Russian tourists fly to Russia and start their journey on the Volga river here, in Nizhny Novgorod, which is siruated on two great rivers — the Volga and the Oka, that conflow here. Thanks to the international airport and Lufthansa that makes three flights from Frankfurt every week, Nizhny Novgorod gets connection with 727 cities in 127 countries. 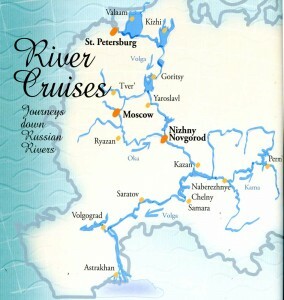 There are a number of river cruises, two to fourteen days long, which start in Nizhny Novgorod to go down the Volga, the Oka or the Kama rivers. You can set sail from Nizhny Novgorod to see the marvels of Moscow, the white nights in St. Petersburg, Kizhi and Valaam, the North pearls of Russia, to see the fantastic landscapes of Plyos and Myshkin and a number of beautiful Volga cities, such as Ulyanovsk, Samara, Saratov, Volgograd and Astrakhan. 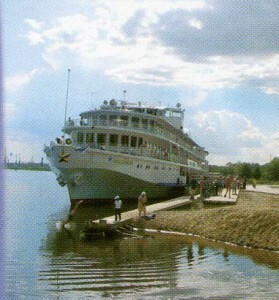 You can choose a regional cruise to see Gorodets, the so-called museum town, Makarievsky Monastery, the stone chronicles of Volga, Chkalovsk, the legendary town of the Russian aviation, Balakhna, the home town of Kuzma Minin, Lyskovo, a former mansion of the Gruzinsky family. 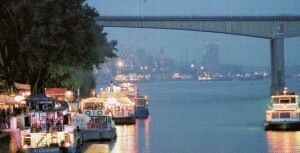 There are double-deckers and high-speed vessels going to Pavlovo, the capital of metalworkers. 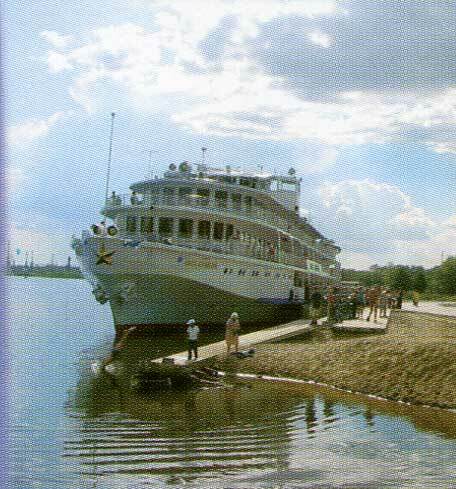 Tourist companies of Nizhny Novgorod offer various river tours on board various ships, i.e. 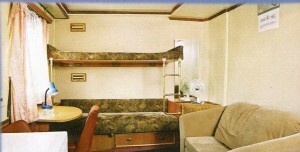 most comfortable three- and four-deckers, small but nevertheless cozy double-deckers (of 305 type), Otdykh and Oka pleasure boats, etc. It should be noted that local companies offer tours at a better price than in Moscow or St. Petersburg. There are single and double rooms, as well as rooms for three, junior and grand suites on board four-deckers. All rooms are air-conditioned, there is also a shower, a WC and a radio in the rooms. 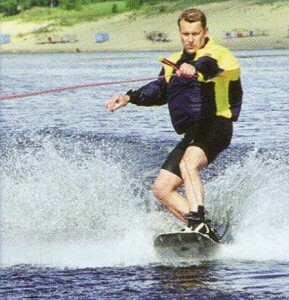 Three-deckers and double-deckers are not that comfortable, but the price is much lower. On board all the vessels there are restaurants, bars, reading and Musical rooms, cinemas, ironing rooms, a health unit, a sauna and a solarium. You can also buy souvenirs. There are daily animation programs and discos. You are welcome on board our ships!